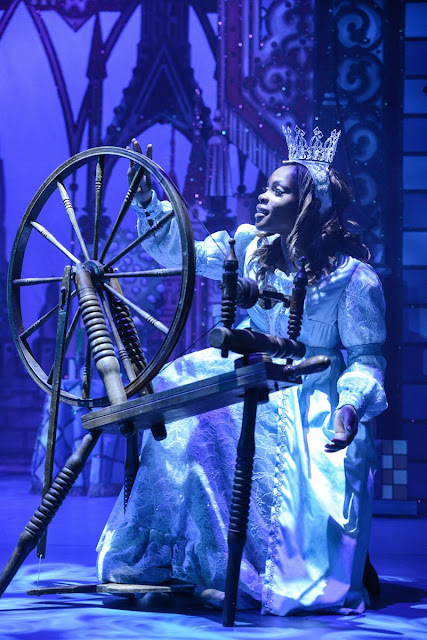 REVIEW | Sleeping Beauty, Belgrade Theatre, Coventry. 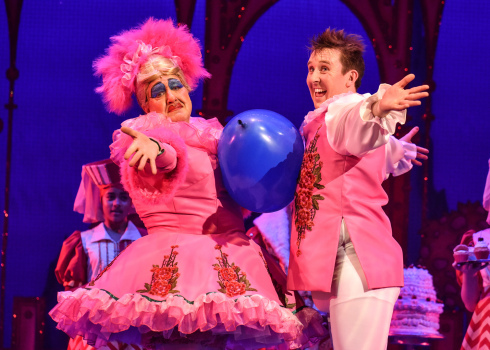 Belgrade Theatre's production of the year has once arrived at the stage of the Coventry this Christmas season and packed with it as much laughter, fun and pantomime traditions as a pantomime should have. It's my third visit to the pantomime at Belgrade Theatre and this year it was Sleeping Beauty. I'll be honest it's not my favourite pantomime story but still, I wanted to see what magic Imagine Theatre and writer Iain Lauchlan would create. A spell has been cast on Belle, the daughter of King Hugo (Declan Wilson) and Queen Hyacinth's (Vicky Field) by the evil fairy Carabosse (Laura Judge) that Belle will die on her 18th Birthday. The good fairy, Caraboose's sister Azurial (Anna Mitcham) gets one of her "trainee" fairies to alter the spell so instead, she will fall asleep for 100 years and only be woken by true love's first kiss. Nanny McWheeze (Iain Lauchlan) arrives at the castle unaware of what is about to unfold..
We then fast forward in time to Belle's (Mellisa Brown-Taylor) 18th Birthday and her close personal friend Prince Valiant (Joanna Thorne). they discover that this spell is just about to come true. Belle does indeed fall asleep after pricking her finger on a spinning wheel and it'll be up to Nanny McWheeze, Prince Valiant and Muddles the Jester (Craig Hollingsworth) to travel into the future to save the day and break the spell over the castle! The pantomime at Belgrade Theatre prides itself on being about the storytelling other than huge celeb names to put bums on seats. This definitely adds to the magic of the show and the cast clearly demonstrate their love for this production within their roles. There is the traditional set pieces, including asking a member of the audience to join them on stage to do something and kids at the end to help within an audience participation song. The team behind the panto work hard in getting local kids involved and the chorus group are incredibly good at all of the dance numbers. The older chorus cast executes the more difficult choreography with ease and there's a real family feel to the casting as much as the performance as a whole. The pantomime is once again exceptionally written by Lauchlan who sticks to pantomime tradition whilst also integrating modern references that the kids will love! The modern crazes amongst children haven't been lost in this traditional pantomime and it works so well. Audiences definitely attend year after year to see Craig Hollingsworth and Iain Lauchlan's comedy double-act. They bounce off each other with pure brilliance and it's no surprise they've become a household duo in the theatre at Christmas. The slosh scene is one of their best yet and the interactions with 'Morag' are genius. The pair nail their rapport and there's barely a few minutes that go by without the whole auditorium roaring with laughter - the If I was Not in Pantomime routine was a standout and one of the funniest I have ever seen! One of the downsides to this production for me was in Belle's costumes. I didn't find them particularly flattering or princess-esque and definitely wanted something more from this that didn't quite fit the bill for me. However, this production of Sleeping Beauty is the ideal show to see this festive season. There's a staggering good balance of the straight and the silly, exceptional balance, glitter, humour, catchy songs, the angelic goodies and the best in baddies too! It has everything and more to offer. I definitely will be attending their production of Puss in Boots next Christmas! 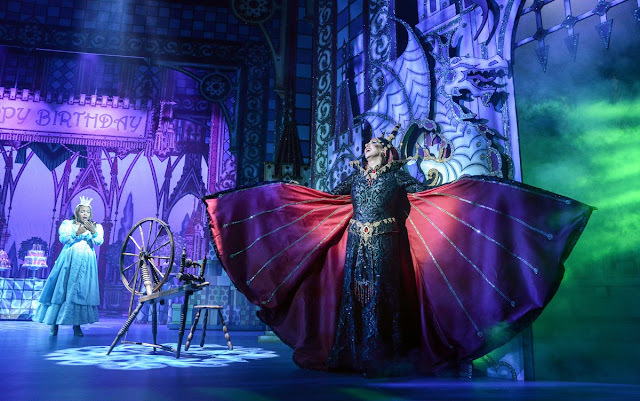 Don't miss Sleeping Beauty at Belgrade Theatre until 05 January 2019. You can book your tickets here.